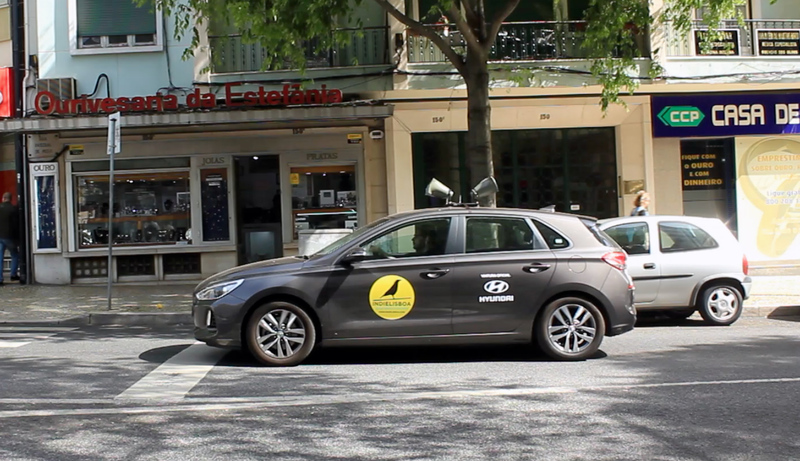 Last week, IndieLisboa started a promotional campaign that brought the megaphone car back to the streets of Lisbon, which is something that could only be possible thanks to the support of Hyundai, with the official festival vehicles. In the era of digital and social media, the campaign, which also serves as a way to distribute the newspapers of the event, has been received with great enthusiasm throughout the city. The car will be traveling around different areas of Lisbon and its surroundings, before and during the days of the festival. It all started with an intense desire to communicate the festival in a fun and unexpected way. As a result, the Socialist International anthem, the Family Frost van tunes, the traditional Circus songs, as well as an original theme from the film You See The Moon (the directing debut of actor Miguel Nunes) were selected for the spots that come out of the megaphone, which are meant to be a bridge to the multiverse that composes the programming of this 15th edition.